This is my very first selfmade ESO addon. 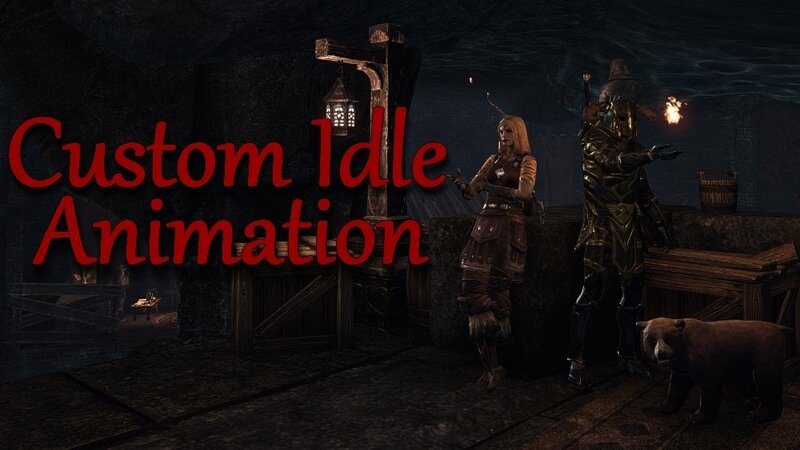 With this addon you can replace the default idle animation with any ingame emotes. You can use up to 10 individual idle sets and every set is able to play 30 different emotes. Every idle set has it's own idle delay and minimum emote time for more customization. Feel free to make idle sets for several "moods" of the character. The emotes will play after the idle delay is over. After that the emotes will refresh everytime the minimum emote time is over. If you interupt the idle with walking, fighting, fishing, gathering or other actions, then it will start over with the idle delay. 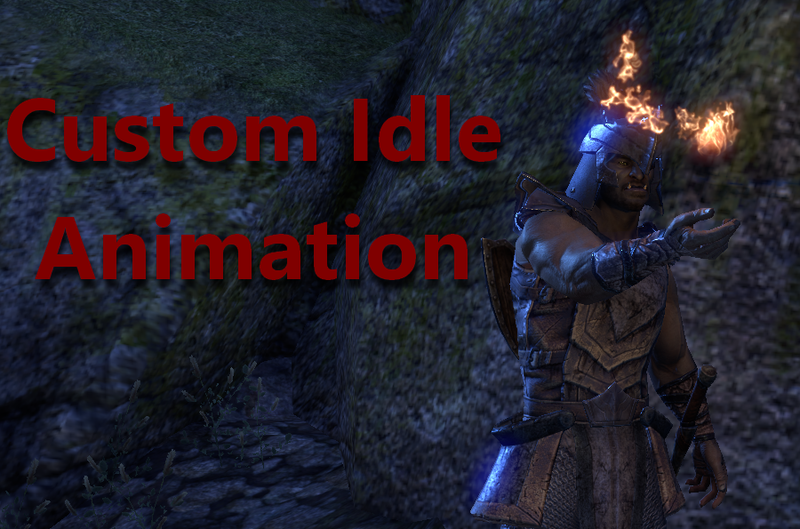 With the chat command /cia or Escape->Settings->Addons->Custom Idle Animations you will get into the settings. If you hover with the cursor over the single settings, a tooltip will pop up with helpful informations. You can assign keys to easily switch between the idle sets and a key to activate/deactivate the addon in the controls settings of ESO. - Fixed a bug where the Custom Idle Animation overrode manual emtoes or interaction with world objects like chairs. Thanks "Holl Hears-In-Dusk" for the bug report. I have an issue where I type in an emote in the first box, then type in another in the second box, type in a third, and when I hit enter or click out after that, it eats the second emote. If I add others, they just eat the rest. They just disappear. If I put in an emote then change the weight, it disappears. Hi ! Could you add an option to prevent launch emotes when an emote is already playing ? When I select an emote via LovelyEMotes, your addon stop it by playing a new one. Unfortunately I couldn't find any way through the API to check if an emote is playing outside of my own addon or not. LovelyEmote has fixed this problem thanks. Could it be possible to make your addon menu translatable please ? Regarding the translation, I will look into it. Thanks mate. Also it seem there is a problem with Scholar personnality. 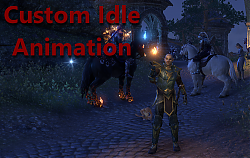 Even when not activated, your addon play edit emote from it like /annoyed or /tilt. Last edited by lexo1000 : 03/13/19 at 12:09 PM. Last edited by lexo1000 : 02/28/19 at 01:53 AM. Last edited by XIIICaesar : 02/21/19 at 10:38 PM. is a hotkey set to change the sets ? Yes there is one, but not mapped per default. 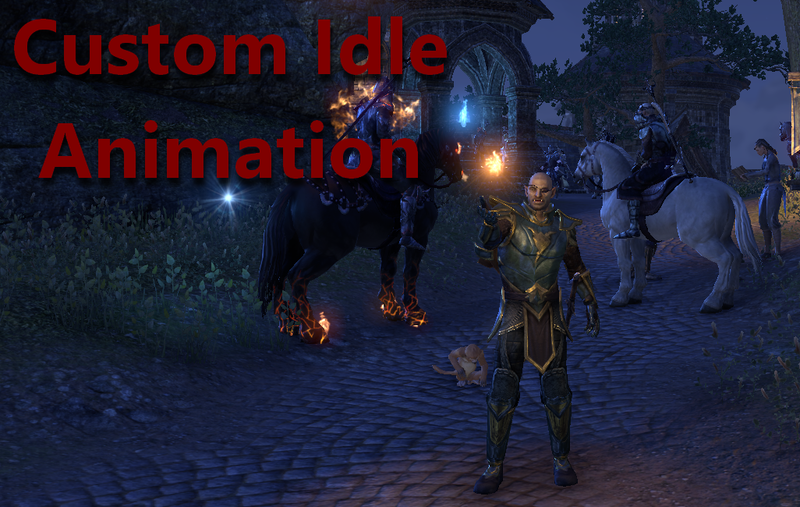 Look into the controls settings of ESO, scroll far below until the key bindings of the addons appear and search for Custom Idle Animation. There you can bind keys for specific sets and toggle the addon. In previous version with CIA Enabled you can type your emotion or use addon, and emotion will be played on and not interrupted by anything from CIA as long as you not move (won't work with chairs, though). Now, we have much more lines for emotes, but each time i type chat emote my CIA slams an idle animation right over it! Is this intended change? Thank you Xerrox, for this treasure in shell of an addon. And happy holidays! I've just fixed it and the update should be available soon. Last edited by Holl Hears-In-Dusk : 12/30/18 at 04:20 PM. with the new update you should be able to register up to 30 emotes per set. Also when the weapons are drawn, the idle animations won't play anymore. This addon is the best. There is, sadly, only 1 problem I'm having with it right now. If I do the /tilt animation with the Duchess personality, it doesn't play the right animation. (It plays the book instead of the mirror). I've tried the /tilt animation with the Duchess personality and it's working fine for me. I will update the amount of emotes per idle set in the next Update. Hopefully it will fit your needs. Thank you so much I tried editing the code on my own by trial and error (I'm very much not a coder myself) but failed to get a working result. It was finally implemented in the API, good to know. Will add this with the new Update, thanks. Hi ! First of all, thank you for this addon, it's great ! I'd like to know though if there's any way I can add emotes in a one set ? I'd like to just load all the emotes that fit my character and let the addon play them whenever. In a "surprise me!" kind of way ! Is there a file I ca try and edit ? Since this is still a problem for me, I am wondering if anyone knows if this has an easy fix?